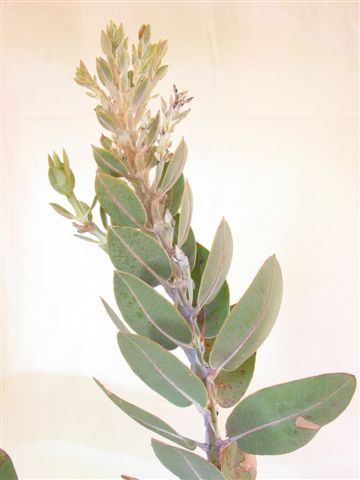 An ornamental species with its blue-grey leaves & white buds & fruit. Grows well inland or coastal situations but is damaged by heavy frosts. Will grow back in the spring. Suitable for large containers protected from frost. Foliage, buds, flowers & fruit are used for cut flowers. Eucalyptus pleurocarpa syn Eucalyptus tetragona.